Providing a healthy & safe way to get to school. 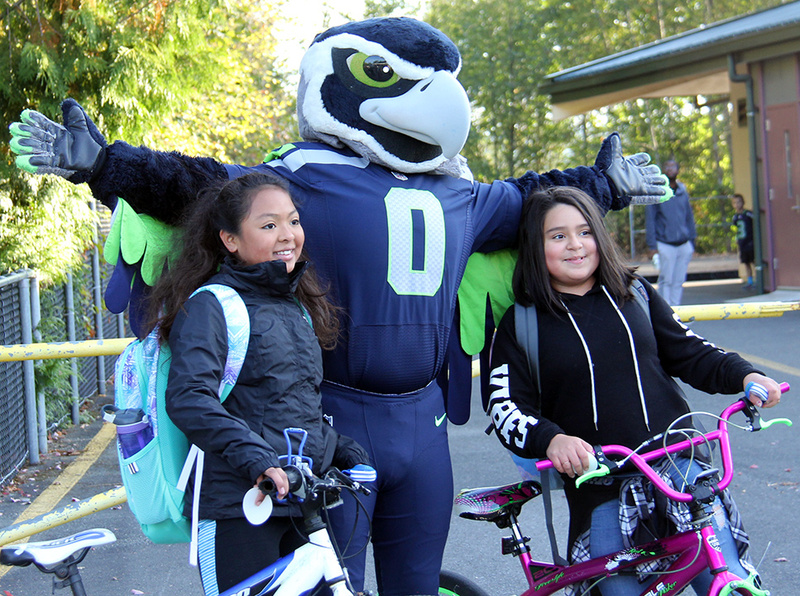 Redmond students get to school by walking, biking and sharing the ride! 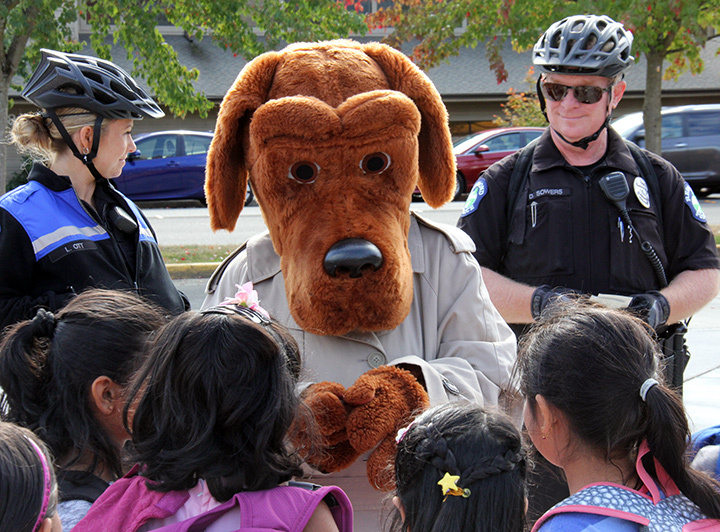 The Redmond SchoolPool program encourages students and their families to "Walk and Roll" when traveling to their neighborhood school in October and May! By leaving the car behind, we're reducing neighborhood traffic congestion and local air pollution, and providing our students with a safe, healthy way to get to school. Whether you walk, roll, or share the ride, you can help make a difference today. The Redmond SchoolPool program works with Lake Washington School District schools located in Redmond to provide marketing materials, education on alternative commuting safety topics, and ideas for events like Walk and Bike to School Days, to encourage a reduction in drive alone trips to school. Through participation in SchoolPool, schools can also raise money for their school or PTSA, and earn free incentives for their students. 1. Pick up a Paper Tracker or Use the SchoolPool App! Students will receive a paper tracking card to keep track of their SchoolPool trips all month long. Students must attend a participating school to be eligible to participate. Lost your tracker? Print a spare one here. If you are a student at Redmond High School, Redmond Middle School or Rose Hill Middle School (and are 13 or older) you can "go green" and use the Redmond SchoolPool app to log your trips and earn rewards! Each week, students are encouraged to take at least one walking, rolling (bike, scooter, wheel chair), carpool or bus trip to school. When they do take a non-drive trip to or from school, students record on their tracker. 3. Turn in Tracker to Earn Rewards! At the end of the month each returned tracking card with at least 1 walk, roll, carpool, or bus trip earns your PTSA money and a reward for the student. Mayor John Marchione welcomes students to school with pedestrian safety flashers on Walk to School Day! If your school is not currently participating, but would like to, just contact us to let us know! Students can earn rewards, like a free Redbox rental, at the end of the challenge!